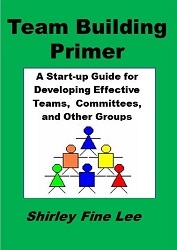 The briefing evaluation may be completed by an audience for use by a communications coordinator to evaluate the effectiveness of low-participation meetings or presentations, which are referred to as a briefing, where the plan is to communicate important activities. The meeting evaluation may be used by meeting facilitators or team leaders to determine if they are conducting effective meetings, which call for active participation from the majority of attendees. This self-evaluation may be used as a personal tool for individuals to learn how well they manage their planning for goal and priority achievement using time management techniques. This evaluation may be used as a weekly or monthly evaluation tool for teams to see where they are in their development cycle. One you have opened the PDF file, if you would like to go to a specific page, you can click on the Page tab on the left of window. This will open a small frame containing miniatures of each page. You can then scroll down to the page you want and click on it. It will then become the active page in the larger frame. Find a Page instructions will help you if you wish to print only a specific page, because you will now have the PDF page number. You may use File, Print and then either choose a Print Range of “Pages from # to #” or “Selected pages” option and click OK to print. To quickly print the entire document, click on the printer icon on the tool bar. If you want to control printing, then use the File, Print menu options and select “All” before clicking OK.
· Facilities/Equipment Statement 1-4 with a score or 4-5 indicate comfort level of room or availability of equipment was not acceptable and should be improved before next use or another location should be planned. · Presentations Statement 5-9 with a score of 4-5 indicates the presenters or their use of visuals was not as effective as they could have been in communicating the message. Delivering or developing presentations training or coaching may be recommended. Meeting management may also be an option for training. · NOTE: An optional comments section may be added to the evaluation to get ideas for improvement in specific areas from the audience. · Roles statement 1-4 receiving a score of 3-5 indicates members need training or coaching on their roles. If the facilitator scores indicate this need, formal training in meeting facilitation or leadership may be necessary or a mentor/coach assigned to the individual. · Process statements 5-10 receiving a score of 3-5 indicates individual members or entire group feel the need for training or coaching on how to hold effective meetings. Depending upon type of group and their responsibilities, training in idea generation, data gathering, goal setting, process mapping, problem solving, or decision making may be optional training or coaching to be considered. 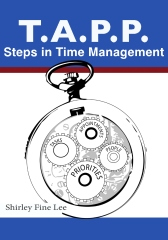 · Answer 10 questions about personal time management use. Use ratings listed at top of form for honestly scoring each question regarding current practice. After rating, use scoring instructions at bottom of form to determine what may need to be done next. Any individual questions with a high score should indicate a need to improve in this personal planning area. · Roles statement 1-4 receiving a score of 3-5 indicates members need training or coaching on their responsibilities. If the leader or sponsor scores indicate this need, formal training in leadership or empowerment may be necessary or a mentor/coach assigned to the individual. · Meetings statement 5-8 receiving a score of 2-5 indicates members or entire group need training or coaching on how to hold effective meetings. Depending upon type of group and their responsibilities, training in idea generation, data gathering, problem solving, and decision making may be options to consider. · Group statements 1-4 receiving a score of 3-5 indicates members may need training or coaching related to developing vision/mission/purpose statements, goal setting, process mapping, and action planning or project management. · Specific statement section is where group or sponsor defines a set of statements they wish group to evaluate themselves against. Go to Amazon.com and locate the book you have purchased and read..
Write an on-line review of the book. Send an email to address at bottom of this page with "send RARA forms" or "send TAPP forms" as subject of email. Include in email body whether you prefer RTF or PDF format and a copy of all or part of your review text as verification. A copy of the forms will be emailed as an attachment to you in a few days. Shirley Fine Lee's purpose is to help people and organizations increase capacity to produce results.